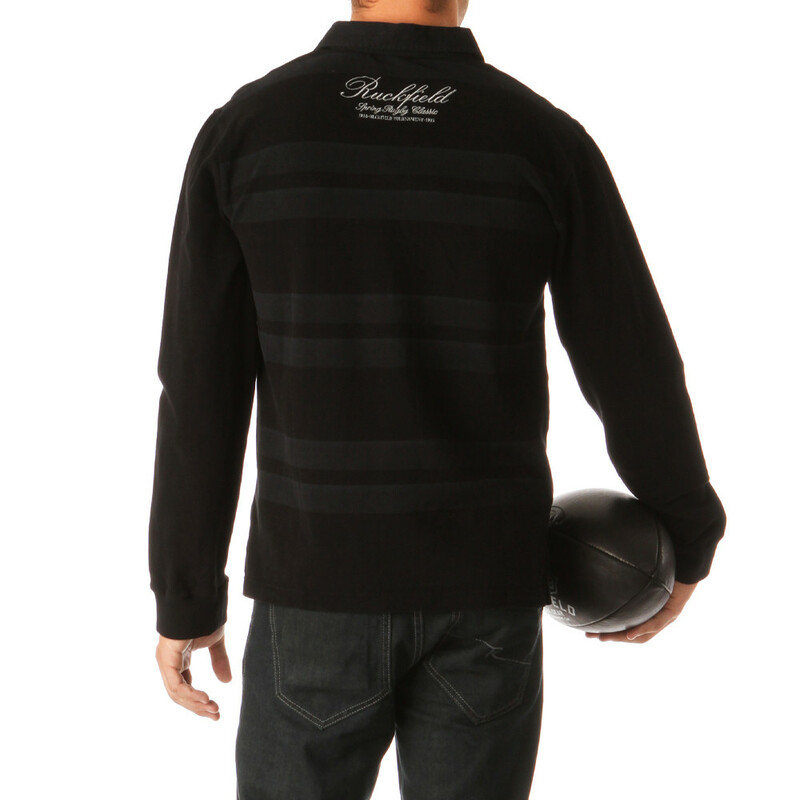 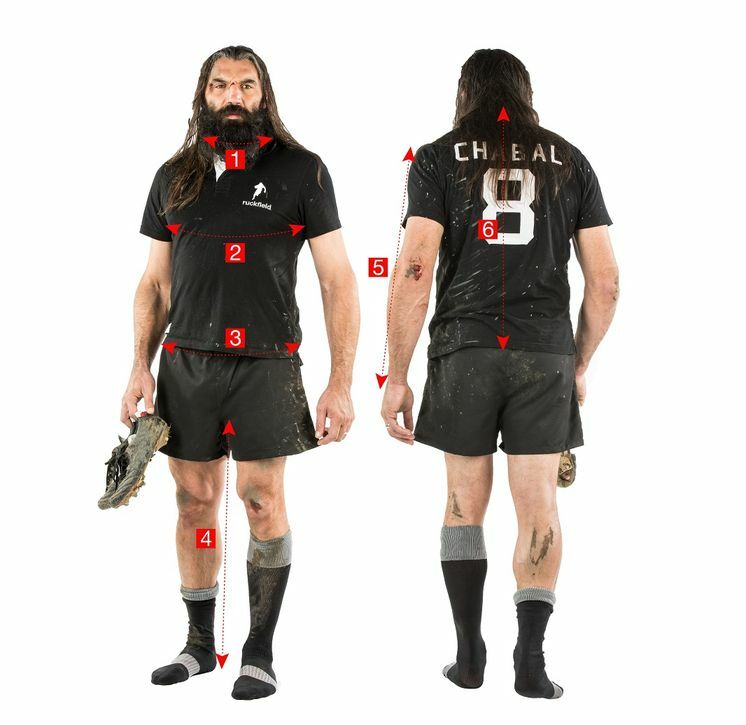 With laser-tailored black-on-black elbow patches, this rugby polo shirt combines style and quality. 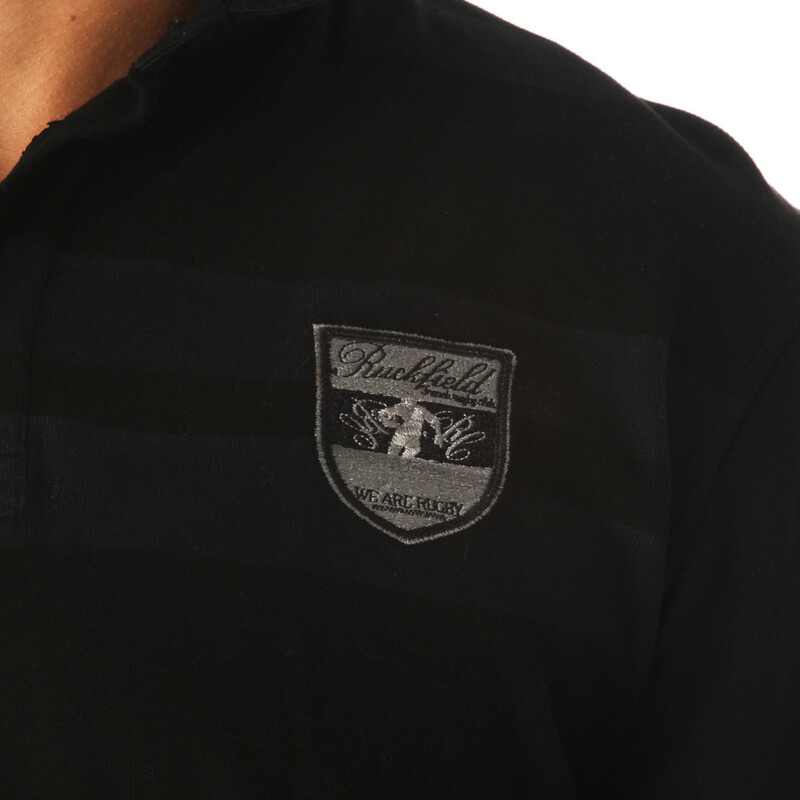 Two-tone (black and white) and in heavy jersey cotton, it is finely embroidered on the chest and on the back. 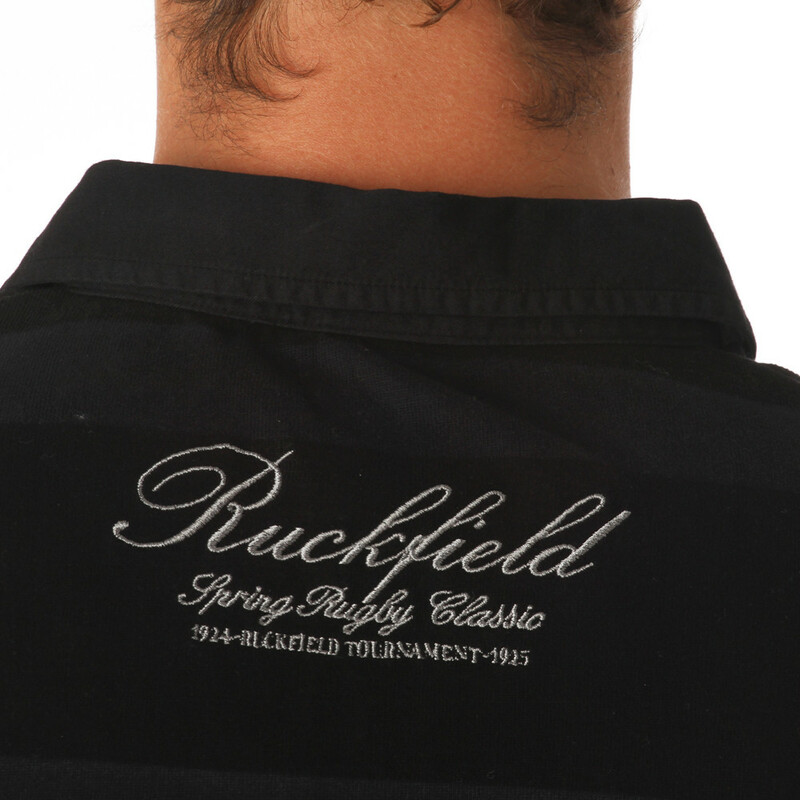 This striped rugby polo shirt adapts the best of rugby jerseys of the time to male outfits that are intended to be both relaxed and smart.